DK, Greenland, Euro-American North Greenland Expedition Members, 2007, IMG_4295 - Every expedition has the requisite group photo. Here we stand with the Explorers Club flag. 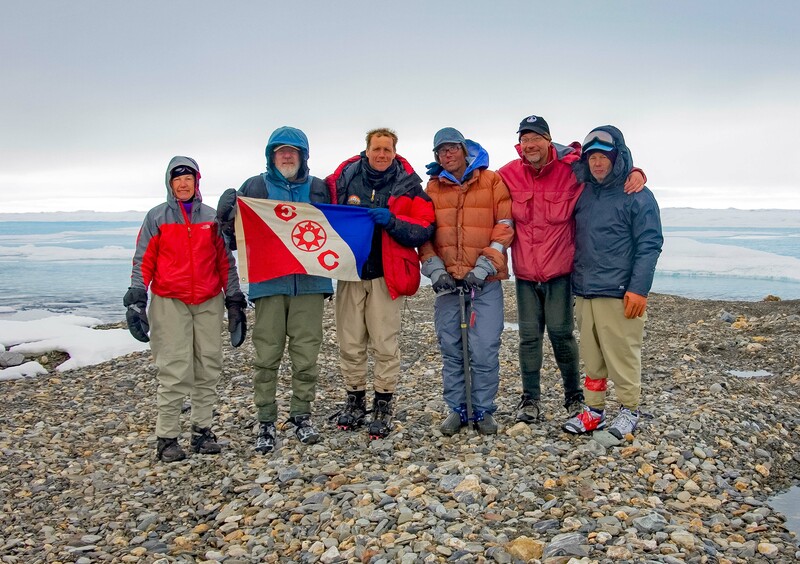 Left to right from this perspective, Holly Wenger, Dennis Schmitt (leader, holding flag), myself - Jeff Shea, Steve Kabala, John Richardson and Bob Mittleman.